SACRAMENTO, Calif. /California Newswire/ — On April 10, Calif. Governor Edmund G. Brown Jr. announced the following appointments: first, Barry Steinhart, 57, of Plumas Lake, has been appointed assistant executive director at the California Energy Commission. Steinhart has served as principal consultant in the Office of California State Senator Mark Leno since 2008. He served as principal assistant in the Office of California State Assembly Speaker Pro Tempore Sally J. Lieber from 2006 to 2008 and was a partner at Widowski and Steinhart from 1998 to 2010. Steinhart was president and chief executive officer at James Purcell Designs from 1989 to 2004 and an associate at Pillsbury, Winthrop, Shaw, Pittman from 1986 to 1989 and at Proskauer Rose from 1983 to 1985. He was an attorney at Bendix Corporation-Allied Corporation from 1982 to 1983. Steinhart earned a Juris Doctor degree from the University of Michigan Law School. This position does not require Senate confirmation and the compensation is $108,768. Steinhart is a Democrat. Orville Thomas, 31, of Sacramento, has been appointed assistant deputy director of public affairs at the California Department of Public Health. Thomas has served as social media manager and information officer at the California High-Speed Rail Authority since 2013. He was a press intern in the Office of the Governor in 2013 and a graduate student instructor of media studies and policy consultant for the University of California, Berkeley Goldman School of Public Policy from 2011 to 2013. Thomas was a news reporter at KRCR-TV from 2007 to 2010. He earned a Master of Public Policy degree from the University of California, Berkeley Goldman School of Public Policy. This position does not require Senate confirmation and the compensation is $70,008. Thomas is registered without party preference. Feliza Ortiz-Licon, 39, of Long Beach, has been appointed to the California State Board of Education. Ortiz-Licon has been senior director of K-16 education at the National Council of La Raza since 2013, where she was regional director of education for California and the Far West from 2007 to 2013. She was director of college access services at the Fulfillment Fund from 2006 to 2007, director of policy for Los Angeles Unified School District Board of Education member David Tokofsky from 2003 to 2006 and served as a teacher at John Muir Elementary School, Long Beach Unified School District from 1999 to 2001. She is a member of the American Educational Research Association. Ortiz-Licon earned a Doctor of Education degree from the University of California, Irvine and a Master of Arts degree in city and regional planning from the University of California, Berkeley. This position requires Senate confirmation and the compensation is $100 per diem. Ortiz-Licon is a Democrat. Ting Lan Sun, 50, of Sacramento, has been appointed to the California State Board of Education. Sun has been executive director at the Natomas Charter School since 2012, where she was director of educational programs from 2006 to 2012, 2000 to 2003 and 1993 to 1997. She was a senior consultant at Cambridge Education from 2007 to 2009, vice president of leadership and quality at the California Charter Schools Association from 2003 to 2006, an educational programs consultant at the California Department of Education from 1997 to 2000 and a teacher at the Natomas Charter School from 1993 to 1997and at Natomas Junior High School from 1988 to 1993. She is co-chair of the California Department of Education’s Public Schools Accountability Act Advisory Committee and was chair of the California Commission on Teacher Credentialing from 2007 to 2011. Sun earned a Doctor of Education degree from the University of California, Davis and a Master of Education degree from Stanford University. This position requires Senate confirmation and the compensation is $100 per diem. Sun is registered without party preference. Mark Morodomi, 54, of Oakland, has been appointed to the California Board of Optometry. Morodomi has served as senior counsel at the University of California Office of General Counsel since 2013. He served as supervising deputy city attorney at the Oakland City Attorney’s Office from 2001 to 2013 and as a policy advisor to the Undersecretary of the Treasury, Law Enforcement at the U.S. Department of the Treasury in 2000. Morodomi served as senior counsel and acting chief of enforcement at the California Fair Political Practices Commission from 1990 to 2000 and was an attorney at Teraoka and Associates from 1989 to 1990. He was a litigation associate at McCutchen, Doyle, Brown and Enersen from 1985 to 1988 and was an extern for the Honorable Stanley Weigel at the U.S. District Court, Northern District of California in 1983. Morodomi is a member of the Asian American Bar Association of the Greater Bay Area, Alameda County Bar Association, American Bar Association, California Political Attorneys Association, Japanese American Citizens League, Stanford Alumni Association and the New York University School of Law Alumni Association. He earned a Juris Doctor degree from the New York University School of Law. This position does not require Senate confirmation and the compensation is $100 per diem. Morodomi is a Democrat. AnnLouise Bonnitto, 44, of Sacramento, has been appointed to the State Advisory Council on Early Learning and Care. Bonnitto has been tribal child development director at the California Rural Indian Health Board Inc. since 2014, where she was child care and development fund program manager from 1998 to 2014. She was a paralegal at the Law Office of Sylvia Velez in 1999, a public relations and media coordinator at Montoya Public Relations in 1998 and a legal secretary at the Law Office of Stanley J. Bell from 1995 to 1998. She is legislative chair and former chair of the Tribal Child Care Association of California and is a member of the Legal Aid Association of California, California Department of Social Services’ Indian Child Welfare Act Work Group and the Chicano Latino Youth Leadership Project Inc. Bonnitto earned a Juris Doctor degree from Lincoln Law School. This position does not require Senate confirmation and there is no compensation. Bonnitto is a Democrat. Michael Olenick, 63, of Tarzana, has been appointed to the State Advisory Council on Early Learning and Care. Olenick has been the president and chief executive officer at the Child Care Resource Center since 2003. He served as chief of emancipation services at the Los Angeles County Department of Children and Family Services from 2001 to 2003 and was senior vice president at the Community College Foundation from 1994 to 2001, where he was a program manager from 1987 to 1994. Olenick served as an associate professor at California State University, Northridge from 1989 to 2001 and was a research specialist at Crystal Stairs Inc. from 1985 to 1987, a staff research associate at the University of California, Los Angeles from 1981 to 1985 and a supervising teacher at the Chicago Child Care Society from 1977 to 1981. He is negotiations chair of the Child Care Alliance of Los Angeles. Olenick earned a Doctor of Philosophy degree in educational psychology from the University of California, Los Angeles and a Master of Education degree from Loyola University Chicago. This position does not require Senate confirmation and there is no compensation. Olenick is a Democrat. Richard Winefield, 65, of Orinda, has been appointed to the State Advisory Council on Early Learning and Care. Winefield has been executive director at BANANAS Inc. since 2012. He was executive director at the Bay Area Discovery Museum from 2006 to 2011, vice president of Interactive and Educational Services at KQED Public Media from 1999 to 2006 and was senior consultant at Human Factors Inc. from 1996 to 1999. Winefield was superintendent of schools at the Orinda Union School District from 1991 to 1996, a senior consultant at Organizational Dynamics from 1989 to 1991 and assistant superintendent of schools at the Oakland Unified School District from 1984 to 1989. Winefield earned a Doctor of Education degree in administration and social policy from Harvard University and a Master of Education degree in education for deaf and hearing impaired people from California State University, Northridge. This position does not require Senate confirmation and there is no compensation. Winefield is a Democrat. Dominick Berardino, 66, of Lake Forest, has been reappointed to the 32nd District Agricultural Association, Orange County Fair Board of Directors, where he has served since 2011. Berardino has been general manager of the Orange County Employees Association since 1978. This position does not require Senate confirmation and there is no compensation. Berardino is a Democrat. Gerardo Mouet, 57, of Santa Ana, has been reappointed to the 32nd District Agricultural association, Orange County Fair Board of Directors, where he has served since 2011. Mouet has been executive director of parks and recreation for the City of Santa Ana since 2014, where he has served in several positions since 1990, including assistant director of parks and recreation and assistant to the city manager. He was assistant director at the University of California, Irvine’s Education Opportunity Program from 1984 to 1990. This position does not require Senate confirmation and there is no compensation. Mouet is a Democrat. 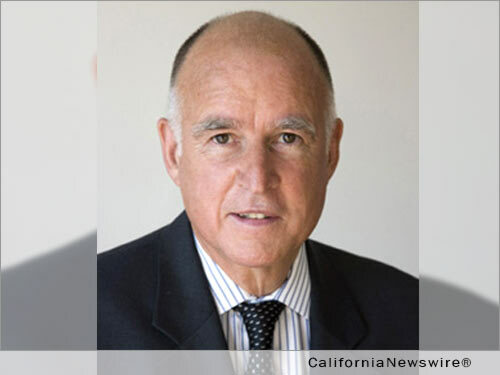 Governor Edmund G. Brown Jr. on April 9 announced the following appointments. Patricia Cullins, 58, of Alturas, has been appointed to represent the second district on the Modoc County Board of Supervisors. Cullins served as an eligibility supervisor at the Modoc County Department of Social Services from 2012 to 2013, where she was an eligibility specialist from 2006 to 2012. She was owner and operator at Allusions Beauty Boutique from 2001 to 2005, a personnel secretary for the Modoc Joint Unified School District from 1996 to 1997, a client service specialist at the Modoc Crisis Center in 1996 and a customer service representative at Bank of America from 1990 to 1995. Cullins served as a correctional officer at the Modoc County Sheriff’s Office from 1985 to 1989 and was an independent insurance agent at Grange Insurance Association from 1985 to 1986, assistant bookkeeper at Coppedge Construction in 1984, a truck driver for Lynetta Ranches in 1983, a cashier at Telum Inc. in 1982 and a clerk and typist at the Modoc Medical Center from 1981 to 1982. This position does not require Senate confirmation and the compensation is $14,905. Cullins is a Republican. Barbara LeVake, 68, of Yuba City, has been appointed to represent the fifth district on the Sutter County Board of Supervisors. LeVake has been principal at Brazil-LeVake Government Relations since 1995. She served as a member of the Sutter County Board of Supervisors from 1989 to 1992. LeVake was a legal assistant at the Law Offices of Shipsey and Seitz from 1970 to 1974 and at Miller, Evatt, Henry and Jennings from 1968 to 1970 and the Law Office of Aguilar and Louis from 1965 to 1968. She is a member of the Sutter Butte Flood Control Agency, Yuba-Sutter Farm Bureau, Western Growers Association and California Women for Agriculture. LeVake was a member of the State Reclamation Board from 1994 to 2001. This position does not require Senate confirmation and the compensation is $34,736. LeVake is a Republican. Governor Edmund G. Brown Jr. on April 8 announced the following appointments. Derrick Marion, 41, of Sacramento, has been appointed chief of the Office of Correctional Safety at the California Department of Corrections and Rehabilitation, where he has served as deputy chief since 2014 and was a correctional administrator from 2013 to 2014. Marion has served as an adjunct instructor at American River College since 2001. He served in several positions at the California Department of Corrections and Rehabilitation Office of Internal Affairs from 2007 to 2013, including special agent in charge, senior special agent and special agent. He served in several positions at the California Department of Alcoholic Beverage Control from 1997 to 2007, including district administrator, supervising investigator and investigator. Marion earned a Master of Science degree in criminal justice administration from San Jose State University. This position does not require Senate confirmation and the compensation is $141,156. Marion is a Republican. AnaMarie Avila-Farias, 41, of Martinez, has been appointed to the California Housing Finance Agency Board of Directors. Avila-Farias has served as a housing program analyst at the Housing Authority of Contra Costa County since 2014 and member of the Martinez City Council since 2012. She has over 21 years of experience in administering affordable housing programs in various communities throughout the Bay Area. Avila-Farias served as a community services program manager for the City of Concord from 2013 to 2014, a senior management analyst at the Oakland Housing Authority from 2007 to 2013 and a senior community development specialist in the San Francisco Mayor’s Office of Housing and Community Development from 1998 to 2007. She served as a housing and healthcare facilitator at the Contra Costa County Public Health Services Department from 1997 to 1998 and as central waiting list supervisor at the Housing Authority of the County of Contra Costa from 1989 to 1997. Avila-Farias is a California Democratic Party Assembly District 14 delegate and a member of the League of California Cities, Housing, Community and Economic Development Policy Committee and the Juvenile Hall Auxiliary of Contra Costa County Board. She earned a Master of Science degree in information systems management from the University of San Francisco. This position requires Senate confirmation and the compensation is $100 per diem. Avila-Farias is a Democrat. Leslye M. Tinson, 33, of Salinas, has been appointed to the California Private Security Disciplinary Review Committee, North. Tinson has been a mental health clinician at San Benito County Behavioral Health Department since 2015. She was a mental health clinician and consultant at Asian American Recovery Services from 2012 to 2015, a mental health therapist at Opportunity Plus Inc. from 2011 to 2013 and an administrative support coordinator at San Francisco State University from 2005 to 2012. Tinson is a member of the California Association of Marriage and Family Therapists. She earned a Master of Science degree in psychology from San Francisco State University. This position does not require Senate confirmation and the compensation is $100 per diem. Tinson is a Democrat.